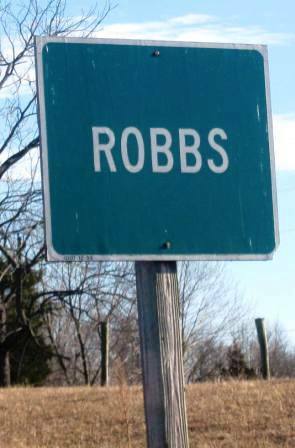 Robbs (estimated population 100) is located in the far southern portion of Illinois. Illinois Route 147 runs a stone's throw north of Robbs and intersects with Illinois Route 145 about 1.5 miles east of Robbs. 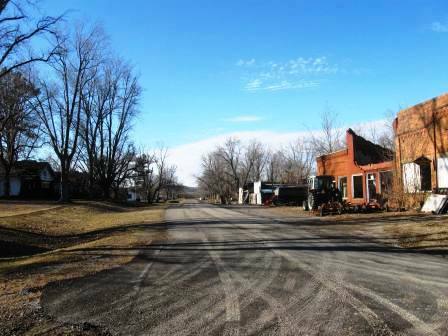 A town of note in the area might be Metropolis (and the Ohio River) located 25 miles due south of Robbs. The Illinois Central Railroad angles through Robbs and played a vital role in Robbs' development. Robbs was named after its founder, local farmer and mill minder A. L. Robbs. 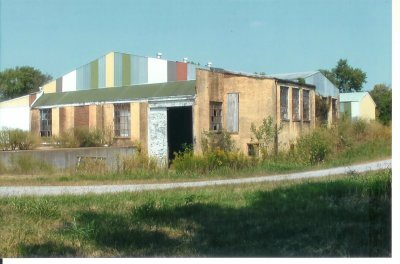 Mr. Robbs decided to build a store on his property next to the Illinois Cemtral Gulf Railroad tracks that were laid through a portion of his farmland. 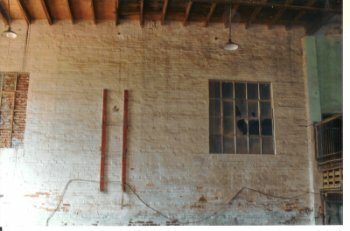 The store was the only building in the town for about two years. Mr. Robbs decided his "town" needed a boost. In 1927 and 1928 many new buildings were built in Mr. Robbs' "town" to try and boost its residentcy. It worked on a kind of "Field of Dreams" premise where if you build it, they will come. Soon the town grew to several houses and seemed to be on its way to stardom. 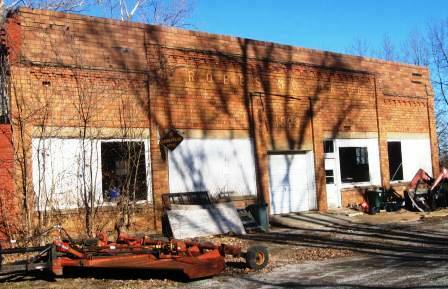 "Robbs Motor Co." Building - "1929"
The town grew so quickly that a school building was needed in the early 1930s. 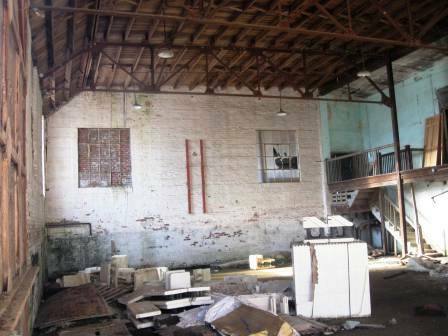 A grade school / high school building was constructed and put into full usage in 1931. The high school at that time was a three year high school. 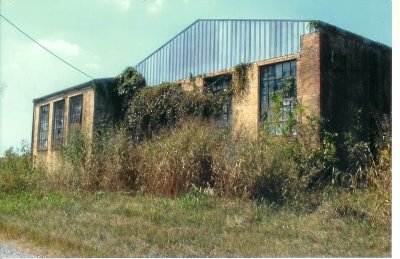 The building was considered a marvel of its day. Like most small three-year high schools of the day, Robbs High School closed in the lae 1940s, possibly 1948. We believe after the Robbs HS was cosed, the children were bused to nearby Golconda to continue their education. Robbs eventually joined several other small school districts in Pope County to create the Pope County School District in 1971. The high school was located in the county seat, Golconda, where it remains today. The original Robbs high school building is still standing. It is known that Robbs Grade School was closed in 1971. School nickname: at first - the "Tigers", later - the "Hornets"
Robbs High School offered boys basketball and probably track & field and baseball. The only mention of athletic teams on the IHSA web site is of the boys basketball team. If you have any further information on the Robbs High School athletic program please write to us via e-mail. Two Robbs High School teams played some excellent ball during their time and gave the small village some great things to cheer about. The teams of 1936-37 and 1943-44 won their District titles! The team records and coach's names of these and other great Robbs High teams are not available. We are hopeful an area fan or alumnus can assist us with more of the history of the Robbs High School athletic program. "Robbs H.S. was, in fact, a three-year high school. The high school closed down in the mid to late 1940's. The high school changed school colors and mascots during the time it was in operation. First ,they were the "Tigers" with Blue and Orange ,as the school colors. Then they became the "Hornets" with Maroon and White as the school colors. Robbs H.S did win the Basketball District Tournment during the 1943-44 school year at Creal Springs. The total school enrollment at Robbs HS that year was 12, 7 girls and 5 boys. Bernard told me they did play a few games with only 3 players. The basketball coach for the year was Howard Wright. He also served as teacher and principal. Sometime prior to that year Carl Hise served as school principal. The school was built at a cost of $5000.00 during 1930. During the 1944-45 school Robbs H.S. had only 1 Teacher. He was Mr. Lawrence. There is some differences of opinion as to exactly when Robbs H. S. did finally close."